French doors make for an attractive replacement back door, making a grand entrance to the garden. 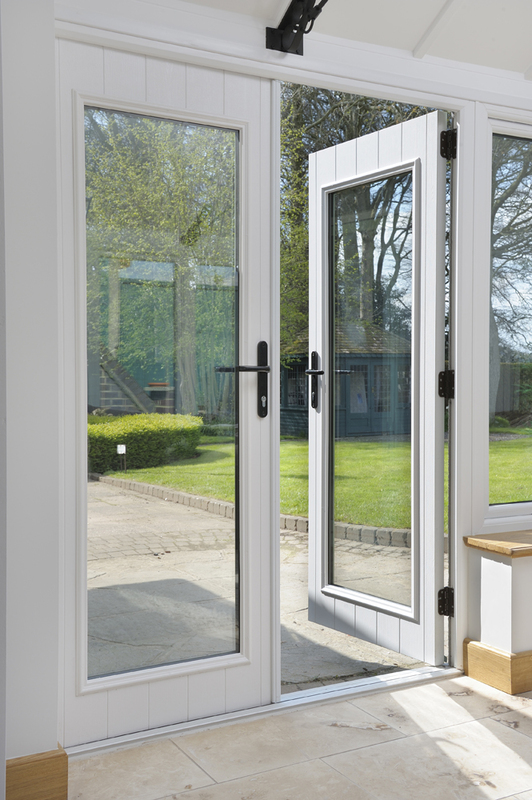 This is why Everglade offers you the freedom to choose elegant French doors to match any of our UPVC or aluminium window ranges. 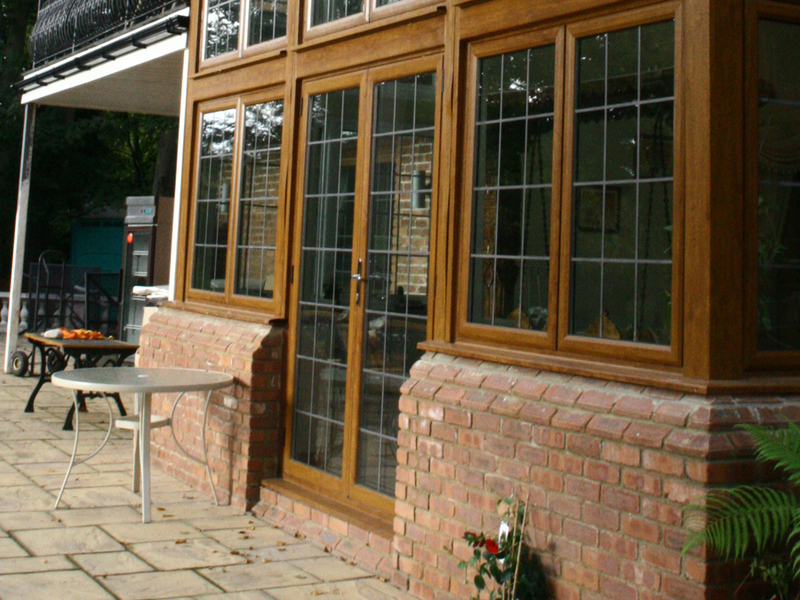 Elegant PVCu or Aluminium French Doors from Everglade. Visit our showroom today. 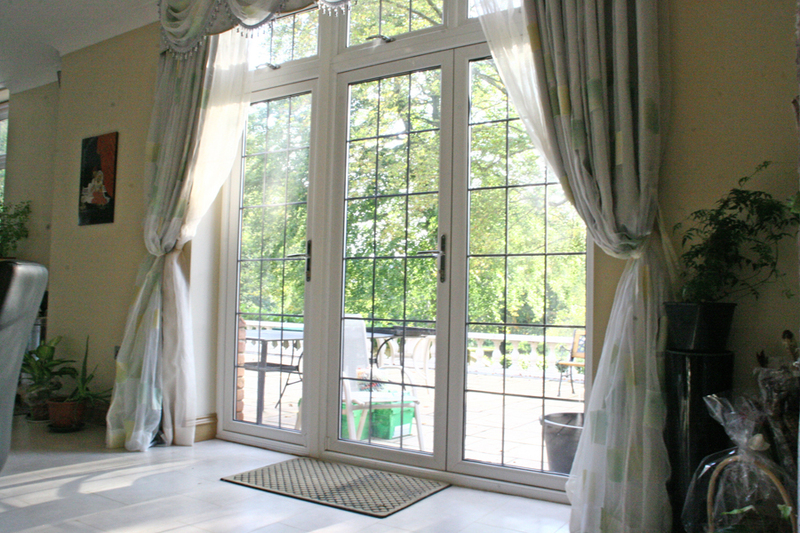 French door colours available include; White, Light Oak, Rosewood, all with a standard finish. 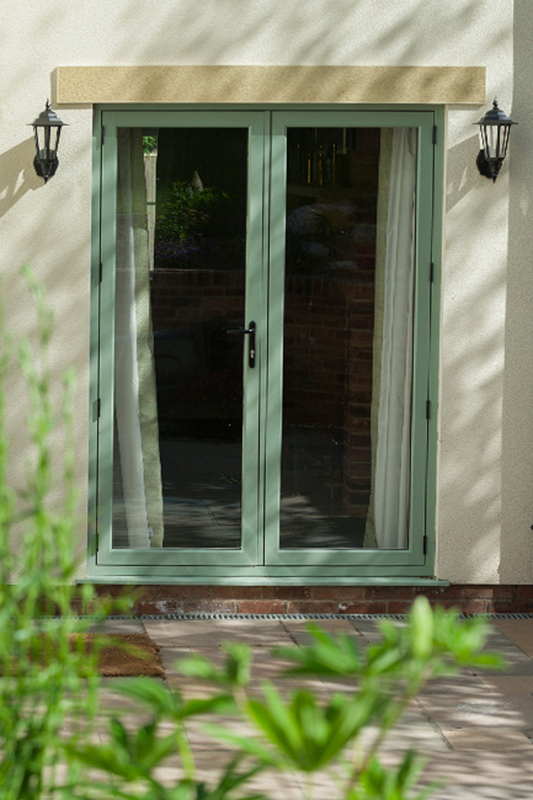 However, we do offer other foil finishes on our French doors which are available on request. Our French door handles and hardware are also available in a variety of colours: White, Black, Polished Gold, Chrome. At Everglade, we understand that security is of paramount importance to homeowners. This is why our French doors come with a steel re-enforcement on the door leaf as well as a 3-dimensional adjustable hinge and multipoint locking. However, if you want to increase security further, Everglade offer the option to upgrade to an Ultion lock – one of the safest locks on the market and one of the few locks tested by the Master Locksmith Association and passed! 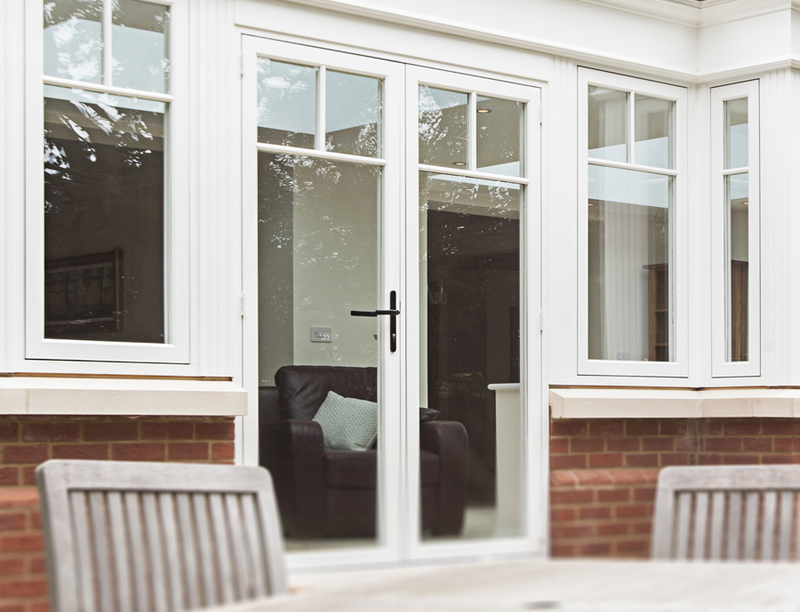 All of our PVCu doors are manufactured with energy efficiency in mind meaning they will help you lower your energy bills, keep the heat in and the weather elements out – all essential from a new French door. 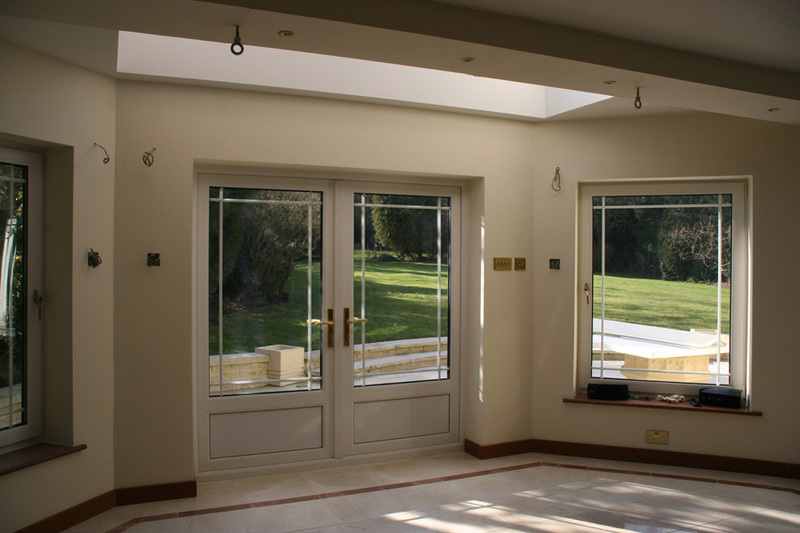 We use TruFit to install our French doors. TruFit is a specially designed window and door installation tape that prevents up to 23 percent more heat loss than traditional methods. It’s a cleaner way to install windows and doors and it can be used whatever the weather to keep your home improvement project on track.